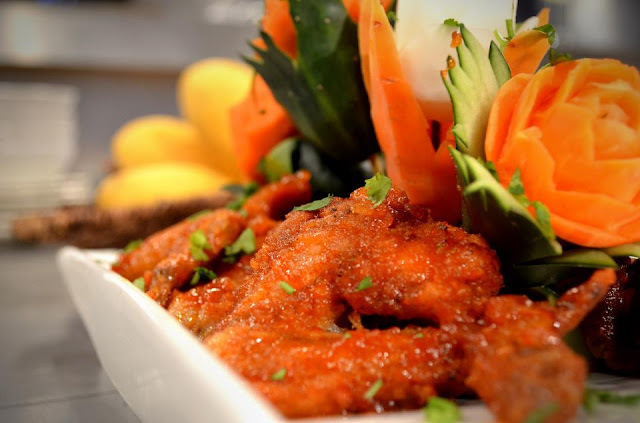 Sweet Chili Wings, is Chef Boy's version of the American classic Buffalo wings. Now, there is no buffalo meat in the ingredients. Rather, the dish originated from Buffalo, New York. By the way, no need to worry about the chili here. The dish is more sweet than hot - perfect not just for adults but for kids as well. All one needs for this is a healthy appetite! 2. Heat up 1 tablespoon oil and sauté onion until fragrant, add in sauce and bring to boil until thick. 3. Add in fried chicken wings and mix well. Dish up and serve.